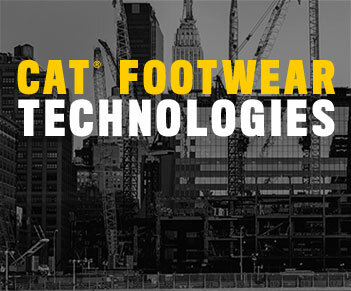 Cat Footwear held Build for Better over this past weekend on Saturday, October 6th, an event aimed to give back to the Chicago community and also celebrate our sponsorship of the IG Builder’s Challenge that kicked off that day. 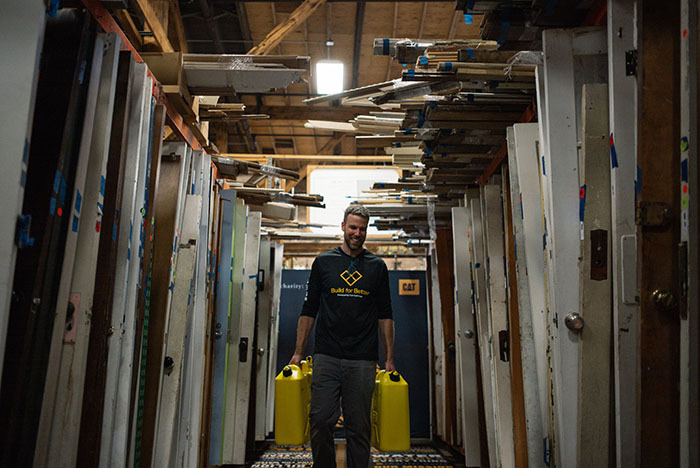 We held this event at the Rebuilding Exchange, a non-profit that is celebrating its 10thanniversary of diverting building materials from landfills by repurposing and selling used goods. 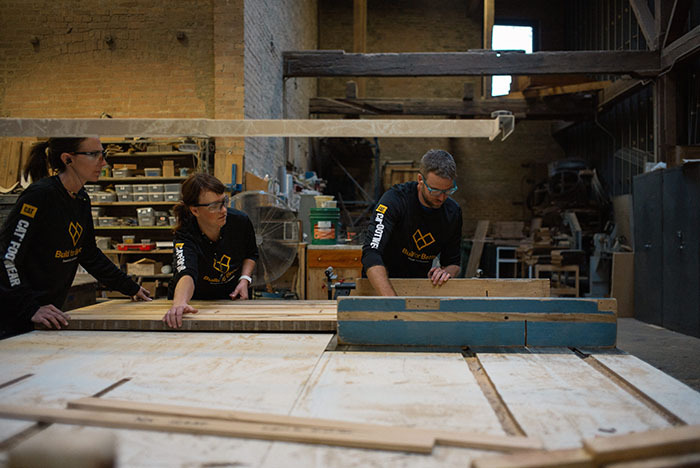 Partnering with Designs 4 Dignity, we held free workshops to build 12 desks with the community to make over the office of a local charity in need. Over 50 people came up and participated in the workshop sessions throughout the day, and we also had a great turn out of people to play plinko for prizes, and participate in our other activities. 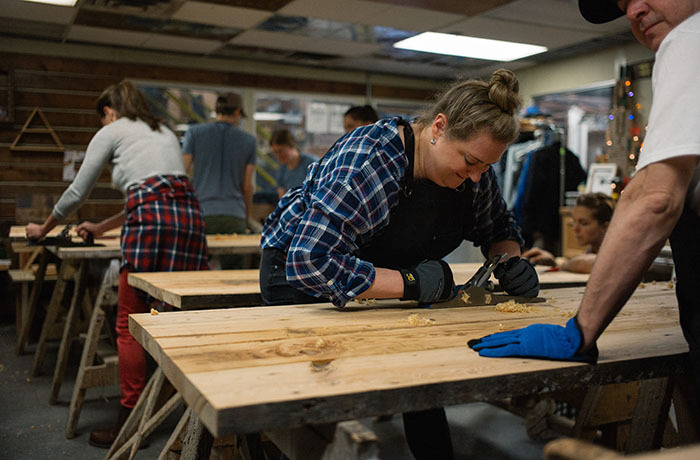 Helping to lead the workshop sessions were the three co-founders of the IGBC- Raechal of @desertwoodworks, Lana of @glacierbuilt, and Adam of @lazyguydiy. 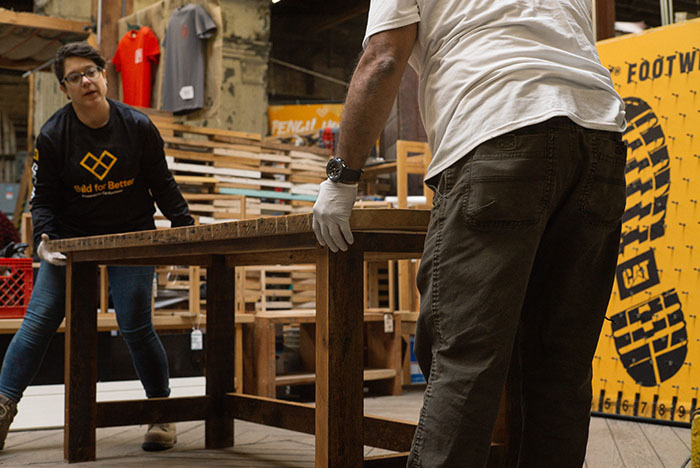 Together, they worked with reclaimed wood to chop, mill, sand, finish and ultimately assemble the new desks. 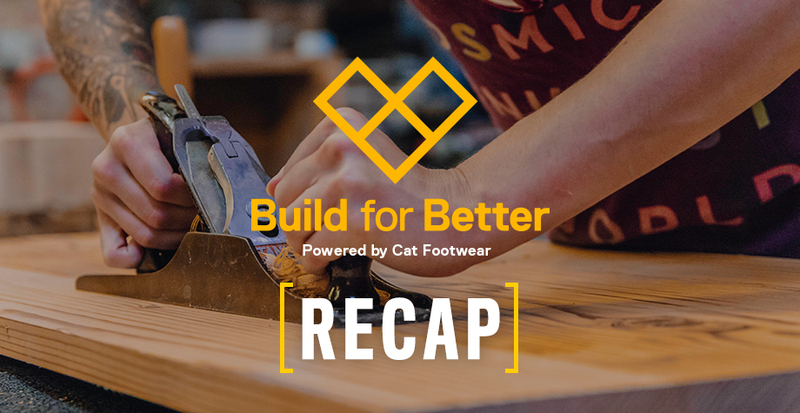 Along with building sessions, Build for Better was a family friendly event that included other free activities including, drop in workshops to build pencil holders to be donating to the charity. 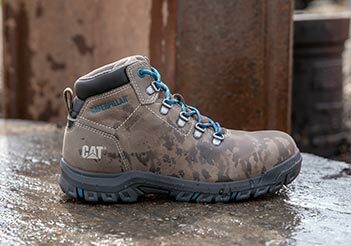 There was also a “Water Walk” to support the global community through Cat Footwear and the Caterpillar Foundation’s campaign with charity: water. 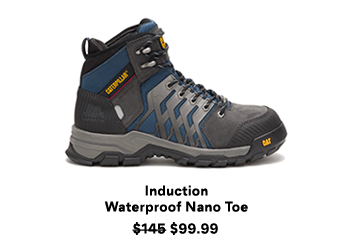 Every person who completed the water walk unlocked a donation of clean and safe drinking water for one person in need. We had over 400 walks completed and were able to raise $15,090 towards our goal for 2018! Cat Footwear Earthmover and YouTuber Chop with Chris did a live carving of a sign to donate to the charity with no power tools! The sign was presented to Enlace at the end of the day to be able to hang up in their new office space, where the desks will be placed. There were also food trucks on site, Plinko for prizes and Cat Footwear giveaways. 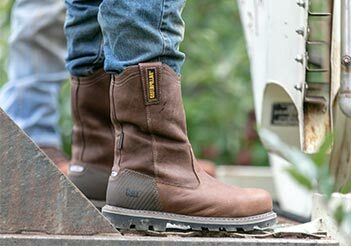 At Cat Footwear, we believe in building a better future in our community. Thank you to everyone who came out to celebrate our community and customers who champion that same innovative spirit!